CaptivateIQ is a new sales commissions platform designed to make your life easy again. "Extremely flexible software for your commission needs"
The system is very flexible. So far, it has been able to handle a variety of our different comp plans including SDR, Customer Success, and Account Executives plans. The UI is slick and the formula writing within the Commission Plan Designer is great. When you write the formulas, you get real-time feedback in the calculations - this brings a lot of transparency into creating comp plans. For example, if the upload doesn’t work, it will say why. A very big call out to their services team - very fast and we’re happy with the work so far. There is a lot of flexibility with the software but sometimes the formulas can get a little long. This might be more of a byproduct of the comp plan as you’re trying to satisfy a bunch of conditions. It would be great to see more documentation but we understand that’s coming later this year. We wanted to automate our sales commissions process as it was getting harder to manage as we grew. Our spreadsheets were growing in complexity given we have to track customer payments before paying a rep. CaptivateIQ helped streamline this process and saved us hours each month with their software. We are now able to easily share payout summaries with all go to market functions. "Awesome product. Handles the nitty gritty so you can focus on more important things." 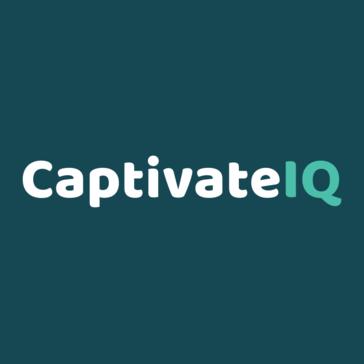 I was one of the early customers on CaptivateIQ and can definitely say the tool has evolved a lot. We were traditionally handling commissions in Excel and as the CEO of the company, I was spending a lot of time calculating payouts and sending them to my team. CaptivateIQ helped automate much of the hard work so all I needed to do was refresh the data and click process. My reps then had all the details into how they were getting paid for the month and I had a peace of mind that everything was calculated correctly. One of the things I valued most from CaptivateIQ was the team behind the product. Their experience and familiarity with various commission plans and working with imperfect data helped me think about better ways to streamline my comp plans. They were also very responsive and helpful when it came to questions I had about my plan or the system. After their funding I saw a rapid improvements to the product, which at times meant I was seeing something a little different in the UI. Now things are more consistent and stable so that has improved. For statement reports my team receives, I’d like see the ability to PDF them automatically. I also believe they can improve some of the reporting UI but I’m told that is in their update later this year. I’d definitely recommend CaptivateIQ to those looking for a way to automate the commissions process and save a lot of time. The CaptivateIQ team was amazing in helping me get set up quickly and when it’s all set up and it gave me some peace knowing I’ve got a vetted system to payout commissions to my team. * We monitor all CaptivateIQ reviews to prevent fraudulent reviews and keep review quality high. We do not post reviews by company employees or direct competitors. Validated reviews require the user to submit a screenshot of the product containing their user ID, in order to verify a user is an actual user of the product. Hi there! Are you looking to implement a solution like CaptivateIQ?